Hum Paanch, our beloved cult comedy show from the 90s is returning to the small screen for its third season. 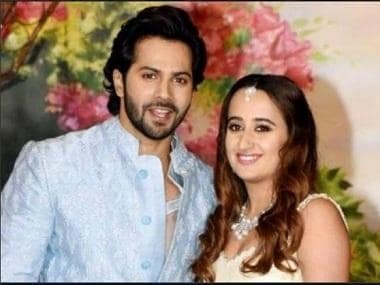 This time the show will be titled Hum Paanch Phir Se. Hum Paanch Phir Se. Image from Twitter. This season sees the actress Jayashree Venkataramanan playing the character of the notorious yet hugely endearing Kajal Bhai. “This light-hearted show is surely going to win people’s heart with its humourous motif. Each episode of the show promises to entertain the viewers and tickle their funny bone. I am happy to be a part of a show which will bring a smile to people’s faces,” said Venkataramanan as reported by IANS. According to The Indian Express, Sooraj Thapar is going to essay the role of Anand Mathur who has to deal with his maddening household, as he steps into the big shoes of Ashok Saraf. Anand's second wife which was earlier portrayed by Shoma Anand will now be played by Seema Pandey. The (in)famous yet most crucial element of the original Hum Paanch a.k.a the Lady on the Wall (Anand's dead first wife), will be portrayed by Vaishnavi Macdonalds, the role having been essayed earlier by Priya Tendulkar. Vidya Balan's character Radhika will be reprised in the new show by Ambalika Sapra, according to the same Indian Express report. 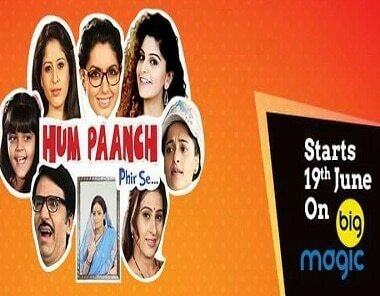 Hum Paanch first aired in 1995 and ran until 1999 and the show narrated story of the Mathur family in the most comical manner. The show's second season premiered in 2005. Unlike the previous seasons, Ekta Kapoor has not produced this season of Hum Paanch. This new series will be aired on Big Magic.